Those of you that attended a college that focused on Fraternity life know the art of the drinking prank. These pranks often take place as part of a game where one of the unlucky participants is forced through peer pressure to do something unusually degrading. And obviously, the rest of the group then gets instant pleasure from this. During my time at a University not to be mentioned here, “Shoot the Boot” was a popular punishment for one’s mistake during any number of drinking games, such as beer pong. While my memory of this event is somewhat hazy, I remember a time when I made a fatal beer pong error at which point the smelliest guy at the party (of course), removed his sneaker and proceeded to fill it to the brim with beer. The rest of the party watched as I drank down this agony. When you shoot the boot it is essential to basically black out, therefore making your memory of this patchy at best. In 2010, a new form of peer drinking punishment is hitting the scene hard. Icing- the name alone sounds dastardly- is derived from the drink it comes from, Smirnoff Ice. This malt beverage is akin to a Zima, and is most often consumed by women or by those who do not like the taste of beer or liquor. The purpose of the prank is to surprise your Bro with it, hence the name of this devilish trick: Bro’s Icing Bro’s. Here are the rules. One Bro buys a Smirnoff Ice at the bar, or for some reason, he has one on him. Then, that “Bro,” must creatively place the Ice in front of the Mark Bro, or as we call it, “The Patsy.” Once the Marked Bro sees the Ice, he must, and I am stressing this, must drop to one knee and chug the entire malt beverage in one go, while his other Bro’s ridicule him mercilessly. Fear not Marked Bro, you can block the attempt by having your own Smirnoff Ice in hand at all times. But once again, this is a woman’s drink so you still look bad. The LocalBozo crew was recently at an uptown bar for some day drinking. Sabotage was in the air- you could smell it. There was to be some Bro on Bro Icing before the sun went down. Since it was the first time anyone in our group attempted Icing, some crude planning had to take place. American Trash, an upper east side favorite that we were drinking at, does not keep Smirnoff Ice in-house. And thus we had a co-conspirator sneak away to a bodega to pick up and return with a fresh Ice. The Ice was presented to the Mark casually in a brown paper bag, and the deal went down, much to the pleasure of our other friends. But with all types of disorderly activity, there lies a negative side. First off, a lot of bars in Manhattan frown upon anything that appears too frat boy like, which I completely agree with- many a popped collar have been known to Ice. 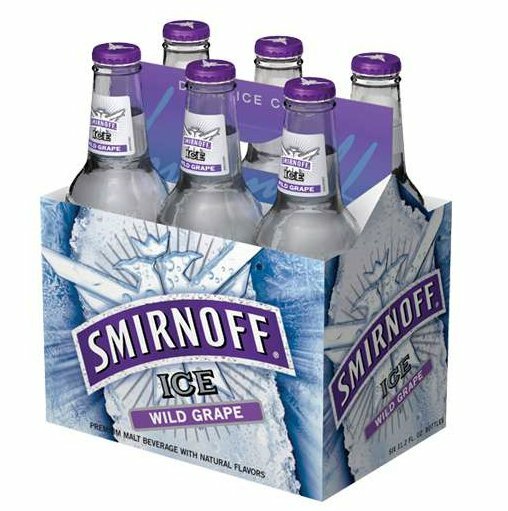 My biggest gripe would have to be the fact that by “Icing” one is subconsciously supporting and advertising for the Smirnoff company, which doesn’t necessarily sit so well with me. In fact, there lies an urban legend that Smirnoff actually created this game in order to boost sales and promote a lagging product. In the end the choice is yours my little partiers. You can Ice a Bro, or not. Either way it doesn’t look like this binge-drinking prank is going away anytime soon. So the next time your Bro hands you an Ice, drop to one knee and start plotting your revenge.